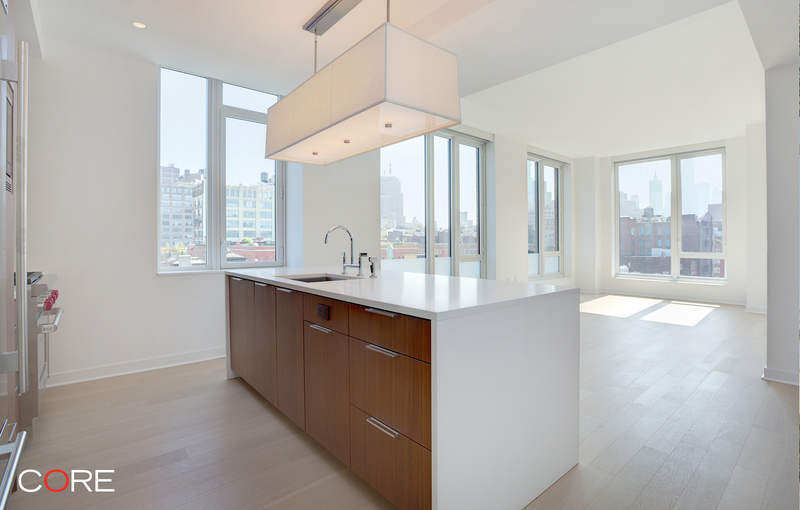 Unit 10H is a 3-bedroom, 3-bathroom apartment with high ceilings and southeastern exposures with stunning Tribeca views. 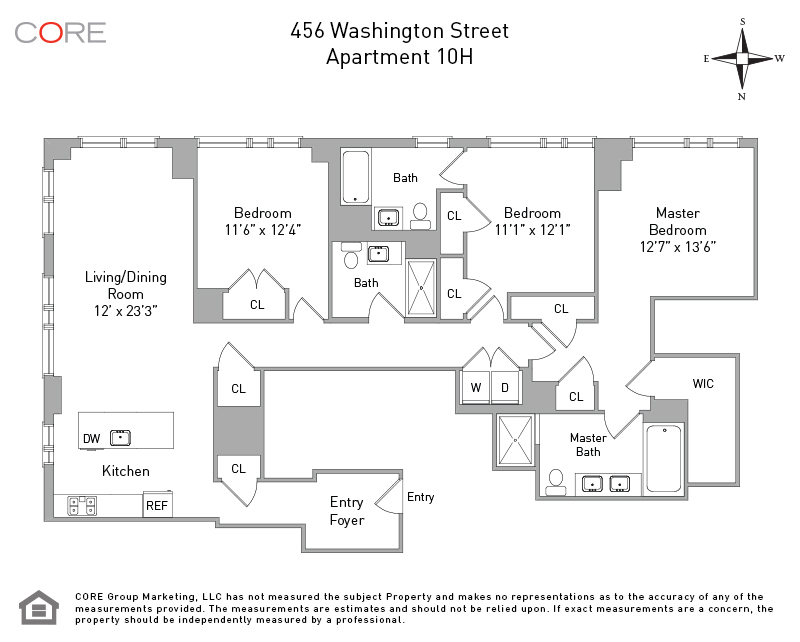 Apartment features include a large living space with a gourmet windowed kitchen equipped with top-of-the-line appliances. The master bathroom offers double vanity sinks, a soaking tub and an edgeless glass shower. This apartment has great closet space, and a full capacity washer/dryer.